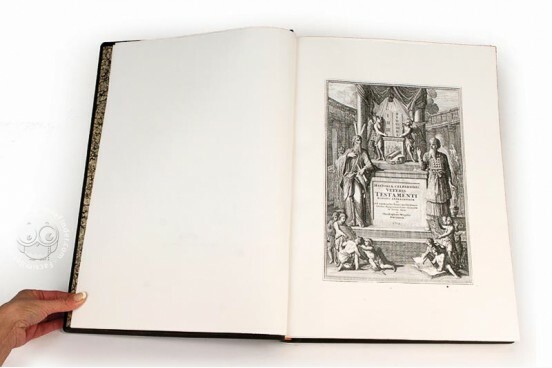 Christoph Weigel’s famous Bible from the Archdiocesan Collections of Kalocsa - Library of the Cathedral. 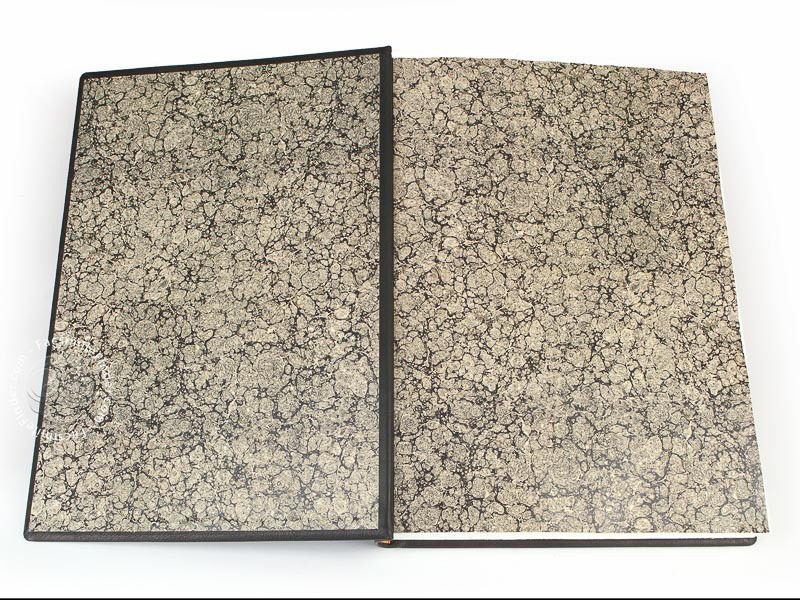 It contains full-page engraved illustrations, each of them representing a famous story from the Bible. The original apperared in 1712, Nuremberg. 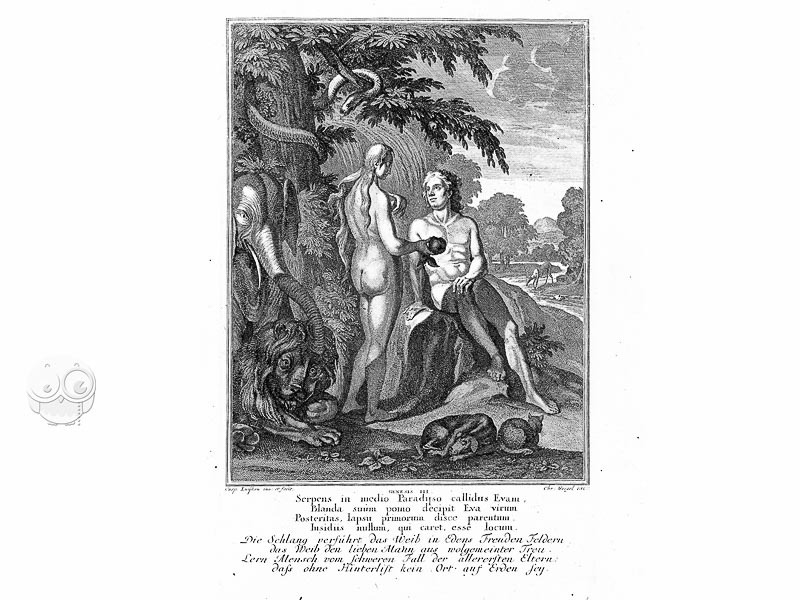 The volume include 260 full-page engraved illustrations, with latin and german captions. 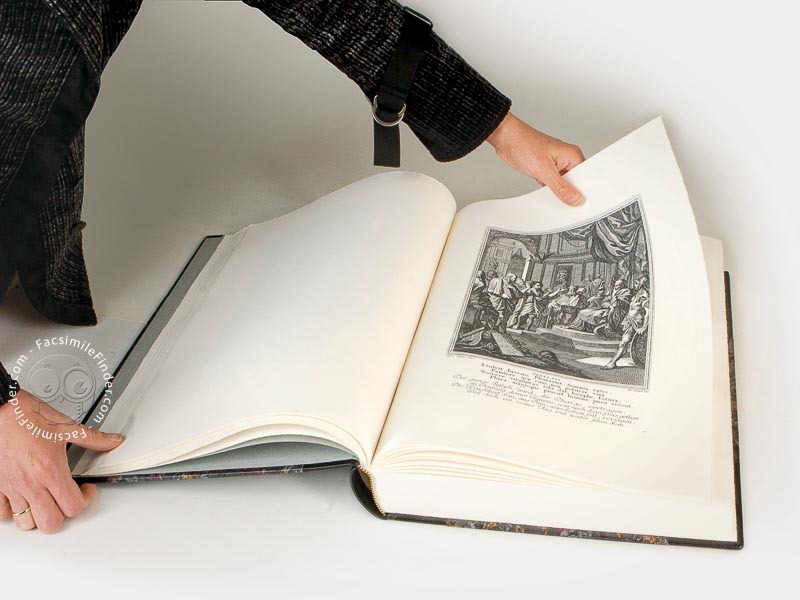 Printed book on paper − 41.6 × 29.4 cm − 264 pp. 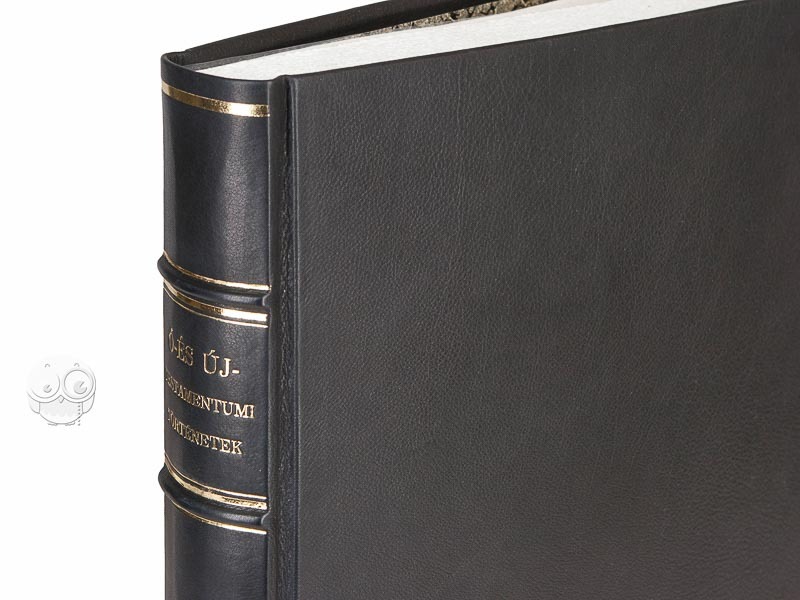 Full-size color reproduction of the entire original document, Bible of Nürnberg: the facsimile attempts to replicate the look-and-feel and physical features of the original document; pages are trimmed according to the original format; the binding might not be consistent with the current document binding. This facsimile edition is printed on a so called engraving paper, which makes the apperance of the book very special. 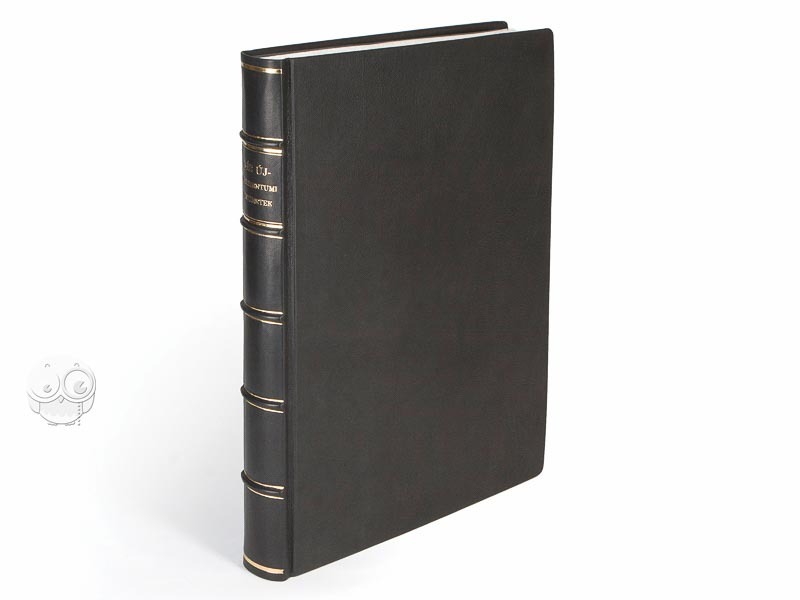 Black half leather-binding, combined with marbled paper and sewed manually on ribs. Gilded decoration and label on the spine.